Just found this one. 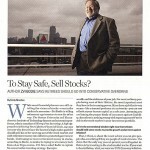 A stock shot of mine of Boston University School of Management Professor of Finance and Economics Zvi Bodie was used in the July, 2009 issue of US News & World Report Magazine. 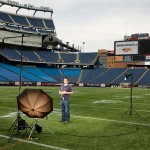 My trusty assistant Matt and I were at Gillette Stadium yesterday to photograph a New England Patriot football player for an editorial magazine. I will post images and the tear sheet after it runs.